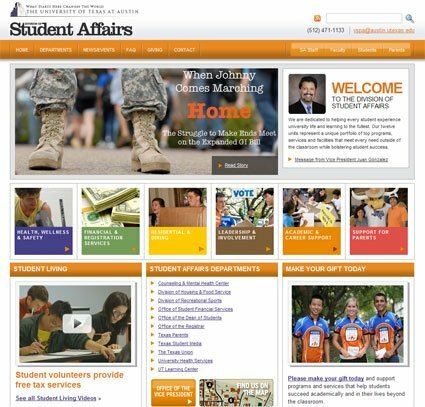 Friendly developed UT’s Student Affairs site in WordPress so that administrative staff could add and edit content elements quickly and easily. Friendly also provided training. The lovely design was provided by Chris Duncan Design.